Tug Hill is a 2,100 square mile patchwork of small villages, farms, and wilderness located between Lake Ontario and the Adirondacks. Known to the Iroquois as the “Lesser Wilderness”, to distinguish it from the Adirondacks, Tug Hill is especially noted for record snowfalls, and a self-sufficient, resilient population. In 2016, TAUNY partnered with Tug Hill Tomorrow Land Trust and Tug Hill Commission to produce a small traveling exhibition featuring 15 residents of Tug Hill. Criteria for inclusion were drawn from the Tug Hill Sages program established by the Tug Hill Commission in 1983. Sages are individuals who have vast knowledge of Tug Hill’s heritage and its environment and have shown a life-long involvement in the region. They have distinguished themselves by their strong historical knowledge of the region and by their actions that have contributed significantly to the quality of life on Tug Hill. 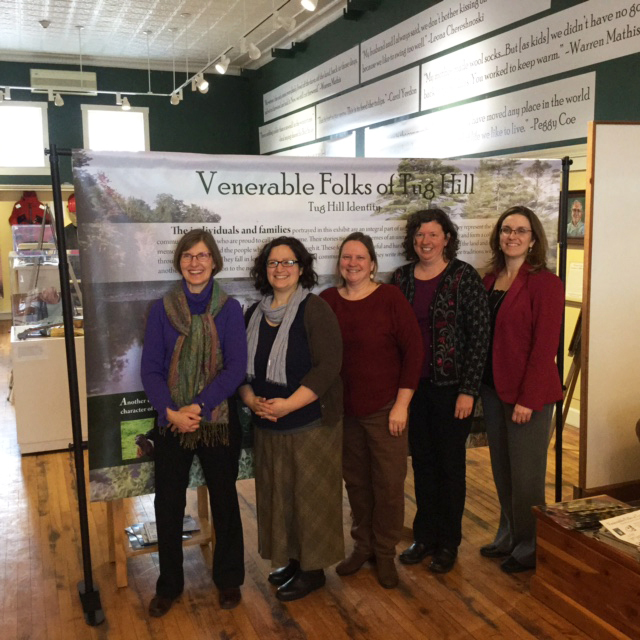 The traveling exhibit has been touring the Watertown region since October 2016. 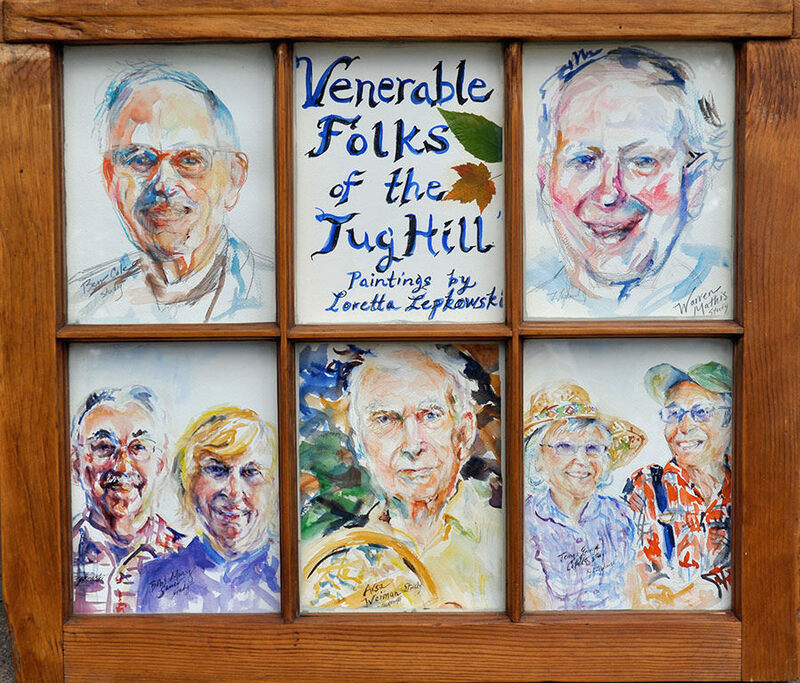 - Portraits of Tug Hill residents painted by artist Loretta Lepkowski, herself a life-long resident of Tug Hill, accompanied by short biographies of each resident. - Photographs of Tug Hill, its landscape and landmarks. - Thematic panels focused on key aspects of life in that region, including surviving winter, the importance of community life, and music. - A selection of objects from the region, chosen by the individuals in the exhibit. For information about the traveling exhibit click here. Funding was provided by the St. Lawrence Arts Council, New York State Council on the Arts with the support of Governor Andrew M. Cuomo and the New York State Legislature, NYS Tug Hill Commission, Iroquois Gas Community Grant Program, The John Ben Snow Foundation, and the Northern New York Community Foundation. A portion of this work was made possible through two Public Arts Fellowship Grants. Additional programming support provided by Hyde-Stone Mechanical Contractors, Inc.